It was a celebration today at the inauguration of the Steve Jobs Theater in the new Apple Park, also marking the tenth anniversary of the iPhone, and the launch of some brand new products. The most remarkable of which is the all-new iPhone X, slated for release November 3, you can read our coverage for that product right here. 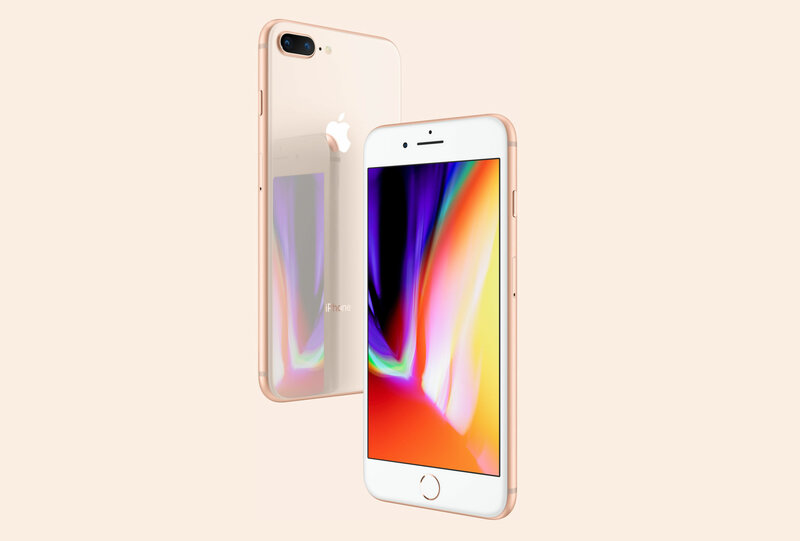 As expected, new 4.7" iPhone 8 and 5.5" iPhone 8 Plus models have been launched alongside the more expensive and new flagship X. iPhone 8 devices are closer in size and design to previous generation handsets, the Home button with top and bottom bezels are there, the 3.5mm headphone jack is not, showing a simple evolution of the same formula Apple has been using the past few years. And while the phones might look identical to its predecessors from a short distance, note the back of the phones is now glass and inside there are marked feature improvements some of which are inherited from Apple's work in the iPhone X. Three key new features: Qi wireless charging, a new higher quality camera offering, and a faster Apple A11 "Bionic" SoC. Even though this wasn't the spotlight announcement, admittedly a ton of work has gone into the newer handsets and Apple seemed adamant in showing off what's new. It's likely a ton of people will end up buying these newer iPhone 8 handsets to remain in Apple's mobile ecosystem without having to pay the even higher X asking price anyway. Of course, for those initiated in the competing Android camp, you will recognize that features like stereo speakers, waterproofing, or wireless charging have been available for many years from premium offerings from Samsung, LG or Motorola. The new A11 hexa-core SoC is shared by iPhone 8 handsets and the iPhone X, offering two performance cores said to be 25% faster than the A10 that is replacing, and four high-efficiency cores that are up to 70% faster than the iPhone 7's. In addition to architectural improvements and a newer performance controller, Apple is touting its new flagship devices to be ready for high-end portable gaming and AR applications. An augmented reality game demo was shown on stage and it looked flawless in comparison to other AR applications we've seen years prior. The full list of new iPhone 8 features can be seen in the photo above, though of course, ask Apple and they will tell you the iPhone 8 body is "all new," too. The iPhone 8 now has glass on the front and back, the antenna lines have been revised and are less visible and there are slightly different color options: silver, space gray, and a new tone of pinkish gold. The LCD screens on the iPhone 8 phones get iPad Pro's True Tone feature which adjusts the colors on the screen depending on your surrounding lighting. On the camera front, a new 12-megapixel sensor on the iPhone 8 is not only larger but adds optical image stabilization to the smaller model whereas before only Plus models got OIS. The iPhone 8 Plus also gets improvements to its dual camera offering with new sensors and f/1.8 and f/2.8 apertures. iPhone cameras were already pretty good, up there with the top Galaxy phones and the Google Pixel, no doubt this is an evolutionary but still sizable improvement to phone cameras considering Apple's track record. 4K/60fps video recording and slow motion video with support up to 1080p at 240fps is also in for the new iPhones. The new iPhone 8 and iPhone 8 Plus will become available for pre-order September 15, start shipping on September 22, for $699 and $799 respectively, unlocked with 64GB of internal memory with 256GB versions also offered. Carriers are expected to be offering both phones with plan bundles at the usual $100-200 price points as well.